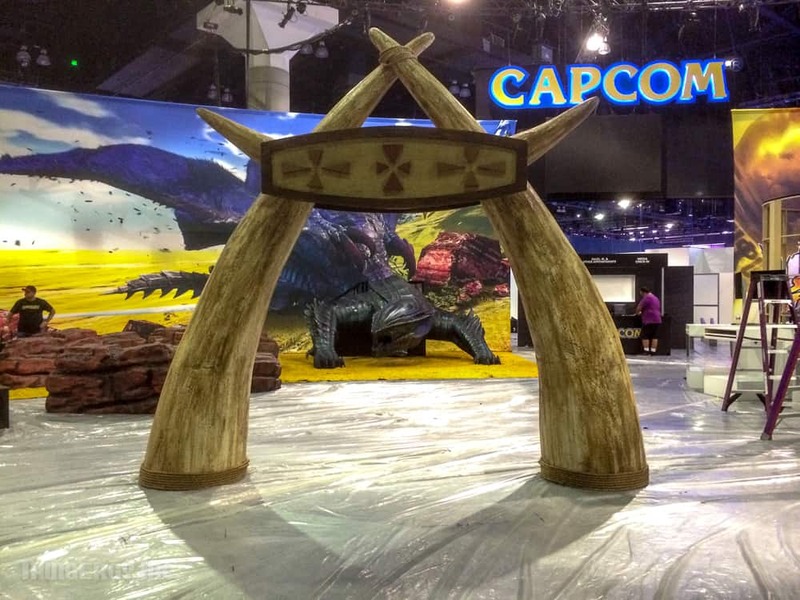 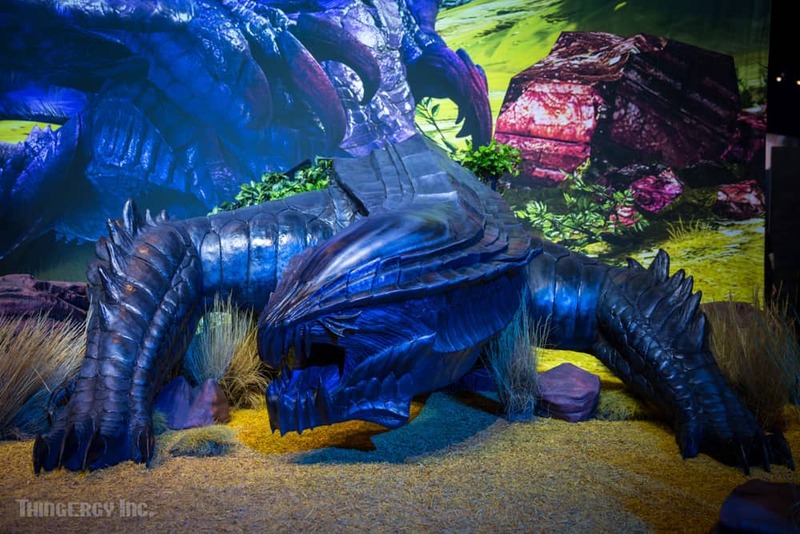 CAPCOM | GORE MAGALA | THINGERGY INC. 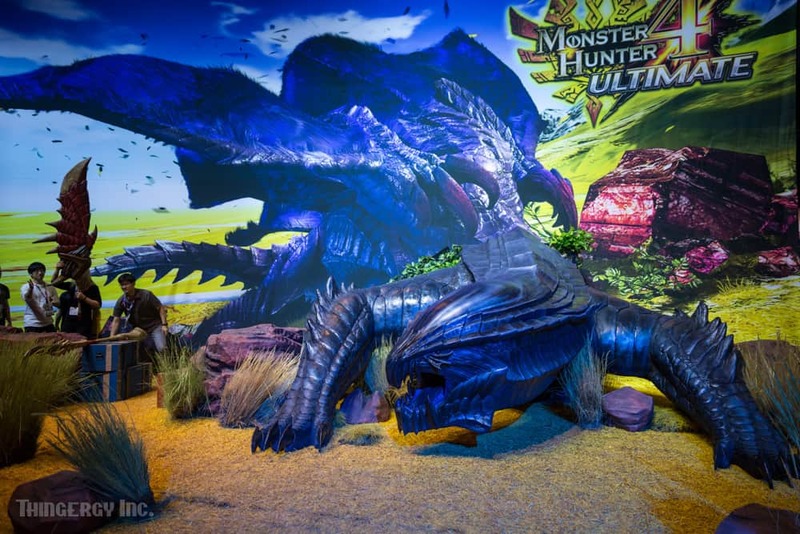 The concept was to have a 20-foot tall backdrop with a huge image of one of the game’s monsters and have the front third of it coming out of the backdrop. 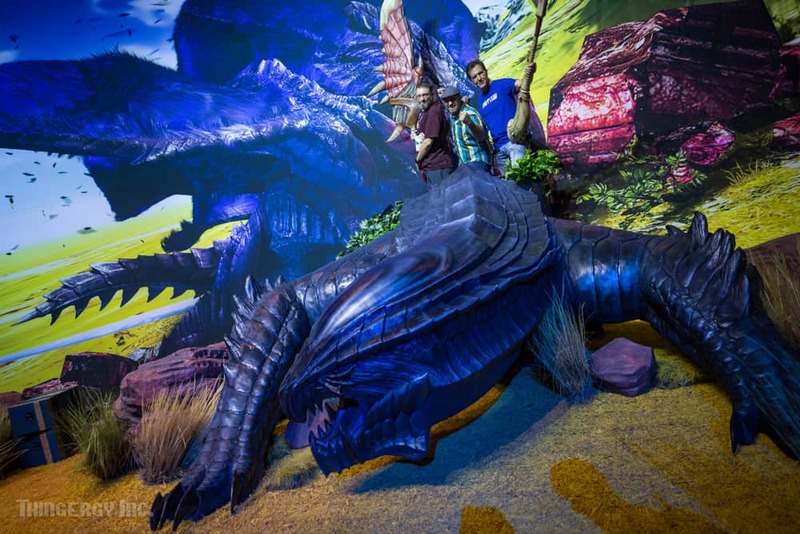 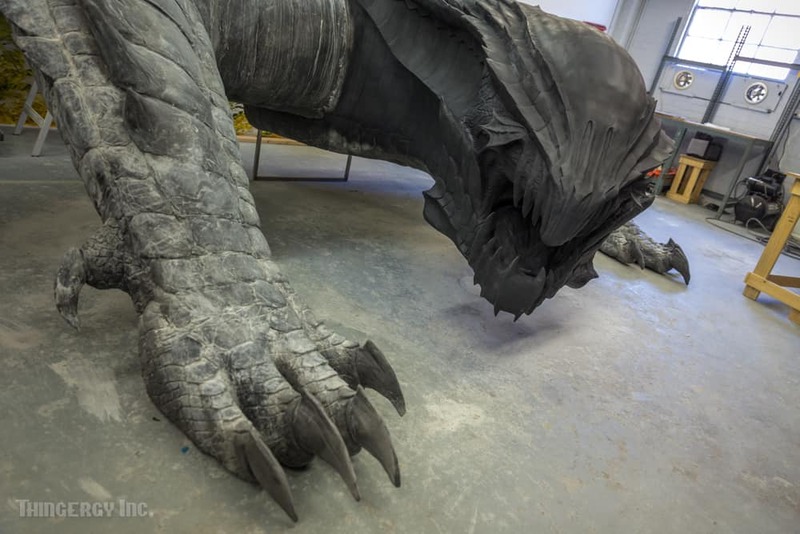 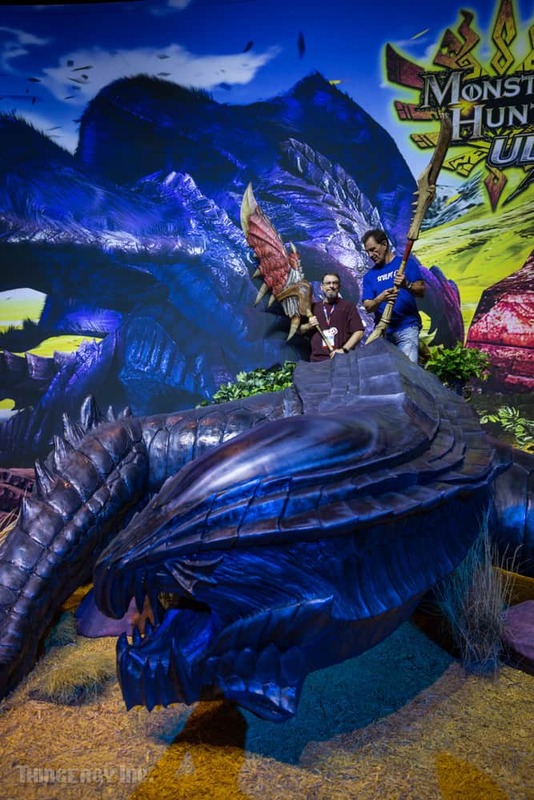 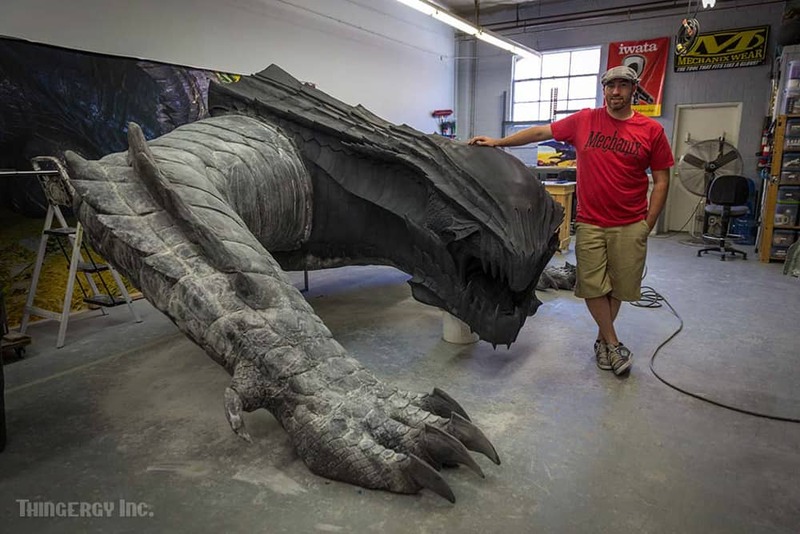 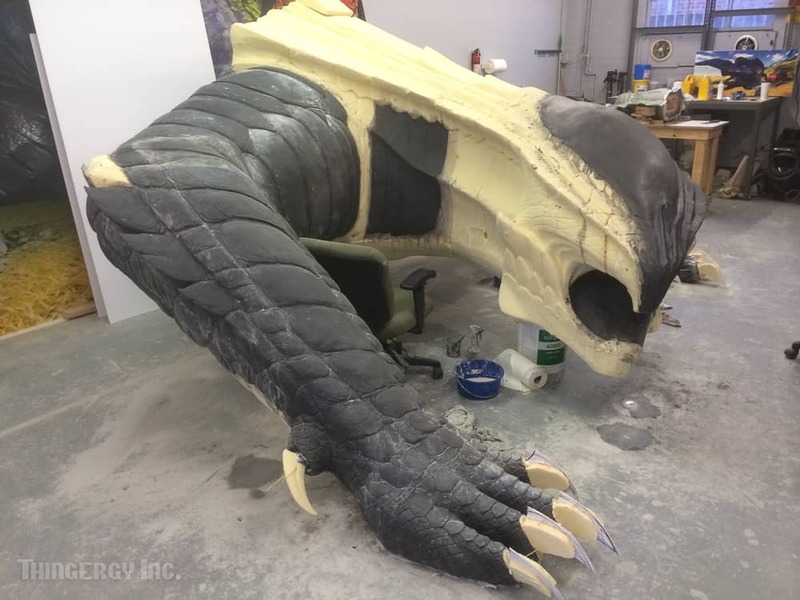 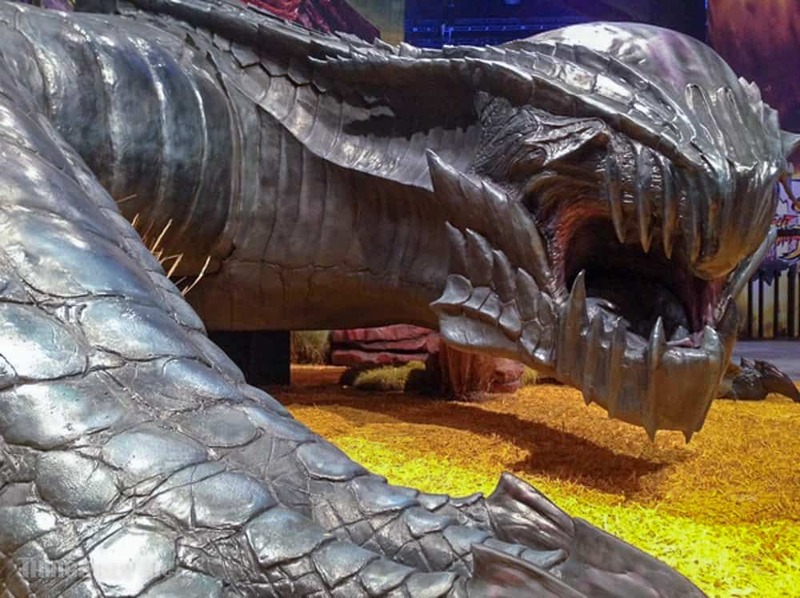 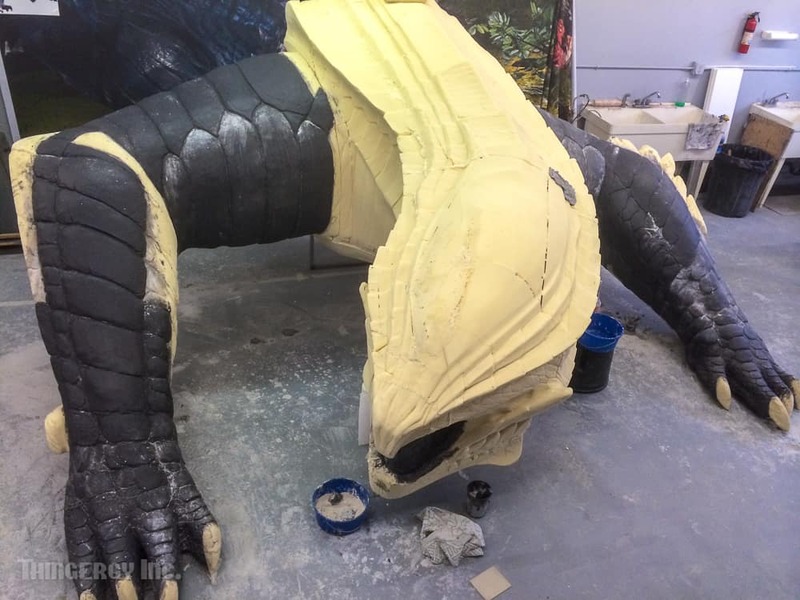 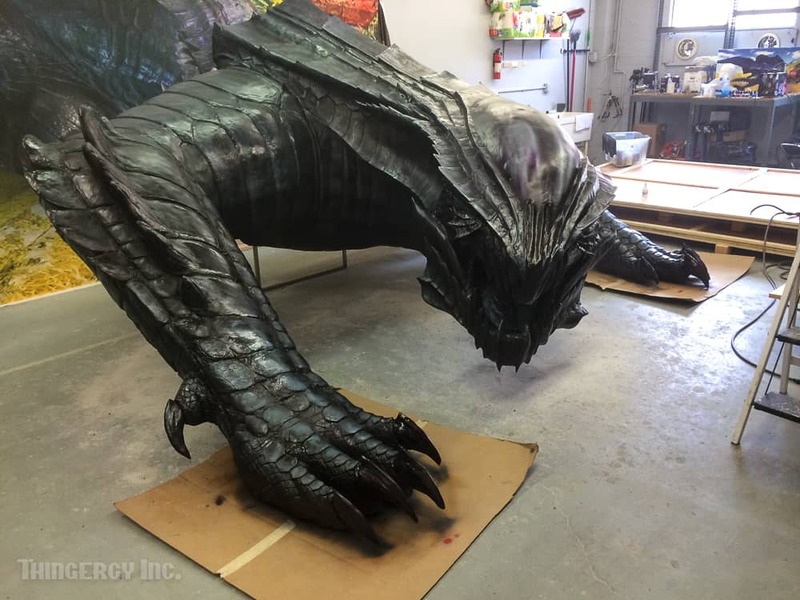 The Gore Magala ended up being 8ft tall, 14ft wide, and 12ft long. 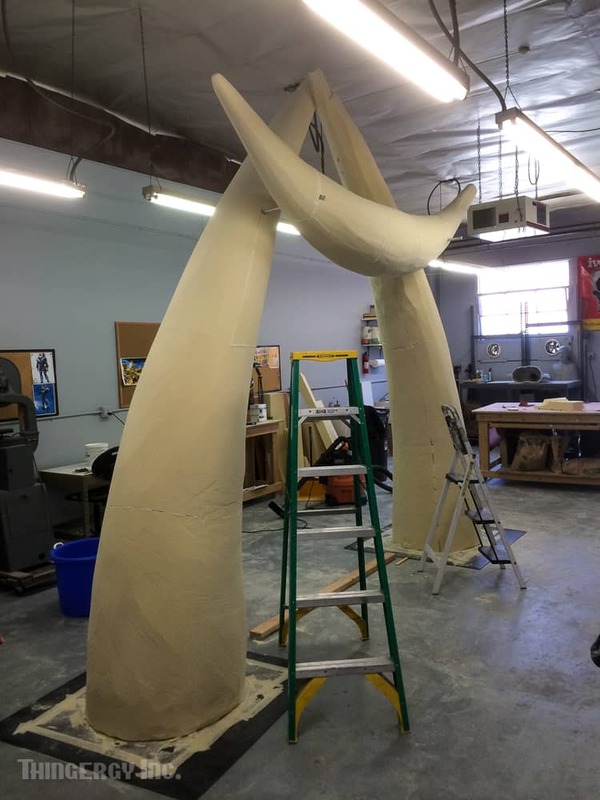 One of the challenges was to build the display so it comes apart to be transported to multiple venues and durable enough for travel and public interactions. 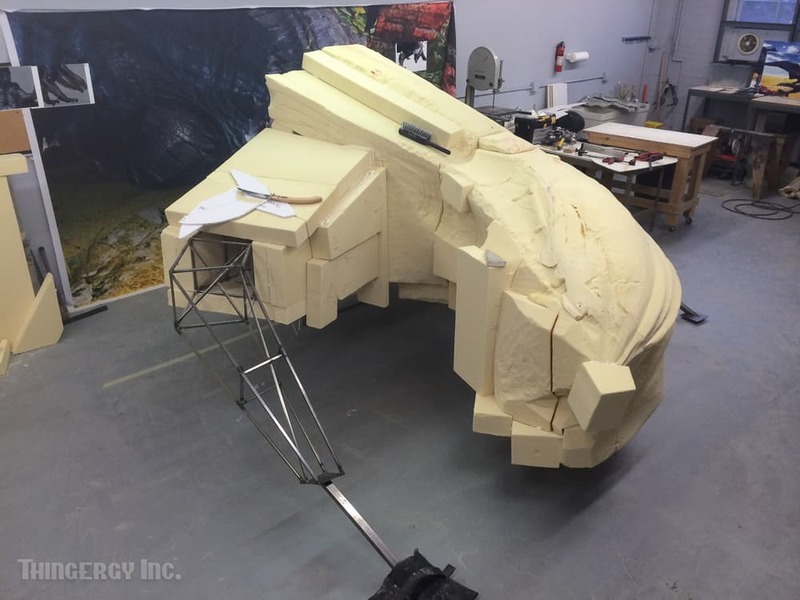 All Rights Reserved, Thingergy Inc.